I think I need one more. Love Games is the second part of the Revenge Games Duet by Sky Corgan. Arthur J. Hoyt narrates the duet. The Revenge Games Duet is still not very dirty. Part two, Love Games, gets a little bit steamier, but still far less than other titles by Sky Corgan. Most naughty words are used in anger and not lust, except one time, so be prepared if you don’t like those kinds of things. Willow has everything she thought she wanted, but now she has second thoughts. She is still putting poor Caleb through hell. Peter grows on you and you start to really feel for him and worry about his heart too. It never turned into a menage, for those that wanted to know. It still changes points of view amongst all the main players. I still feel more for the other characters that are not Willow. I’m happy for her that she was able to find herself in the middle of the mess she creates for herself. She is still a bit of an A-hole. Despite the HEA I feel like I need more to be content in my soul. After getting to know Peter and Becky more, I want to see them get their HEAs too! Sky Corgan was really striving for something different. Even though I have mixed emotions on these two titles, I can’t help but want more. I need to know how everyone’s story ends. Arthur J. Hoyt’s performance was still spot on for part 2. There was improvements on his male characters. A fairly clean story was not what I was expecting. Revenge Games is the first part of the Revenge Games Duet by Sky Corgan. 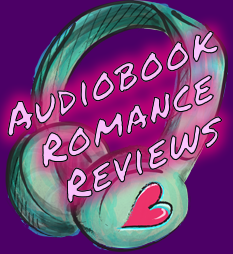 Currently listed as Part of the Audible Romance Package. The Revenge Games Duet is different than what I have listened to thus far from Sky Corgan. Part one, Revenge Games, is practically clean. Most naughty words were used in anger and not lust. Willow Stroop is our heroine, and it sets up two potential heros in Caleb Ryan and Peter Burgett. I kept waiting for it to turn into a menage, or lay the ground work for it to unfold in part two. It’s still a possibility, but I don’t think it will be that kind of story at all. This changes points of view amongst all the main players: Willow, Caleb, Peter, and Becky. It’s curious to see the story through all the different eyes. It also helps soften some of their more harsher aspects. I have mixed emotions. I want to root for Willow and her adventures to claim a new life. One that is free from all the strife of her childhood experiences. Obtain that guy you think is just out of reach, make the mean girls eat their words, and make all the guys that didn’t give you the time of day, drool as you dismiss them like that they did you. However, she makes it very hard. She is a bit of an A-hole. The fact that Peter is a bit of an A-hole too, makes them meant for each other. All of which leaves you feeling bad for Caleb. I’m hoping for more in part 2. Perhaps a new love interest for Caleb, because the other female, Becky, is not a good choice for him either. Despite the HFN ending, I think it needs part 2 to make it whole. This is something different from Sky Corgan. I will stick it out till the end, but I prefer her more naughtier tales. Arthur J. Hoyt performed the four points of view well. Only time he ran into issue was when the two males were conversing with one another. One seemed to come out derpy. The females were excellent, especially for a male narrator.